Loeffler Randall's latest collection is inspired by accessories that can take you from the city to the beach.
! 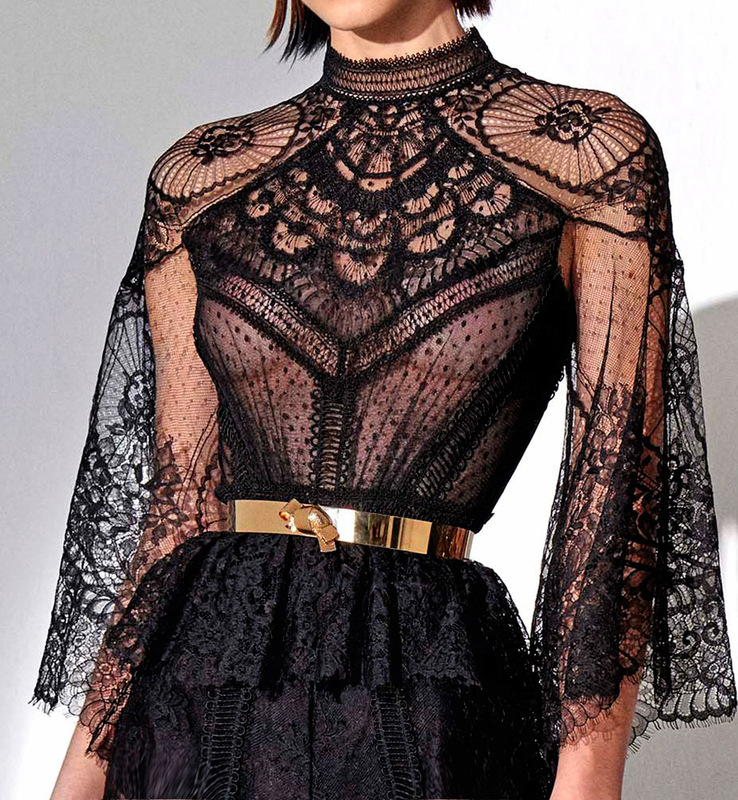 click on the photos to start shopping! 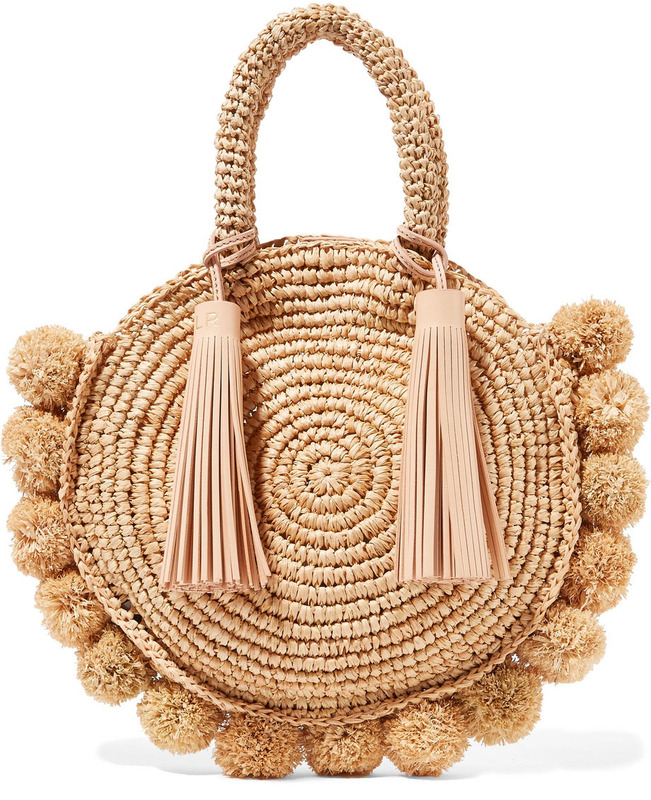 Crafted from a beige straw in a structural shape, this 'Circle' tote is designed with playful pompom trims and leather tassels. Slip your sunscreen and sunglasses into yours before heading to the pool. Cult Gaia knows how to create a graphic shape that looks just as good in the hand as it does on your Instagram feed. 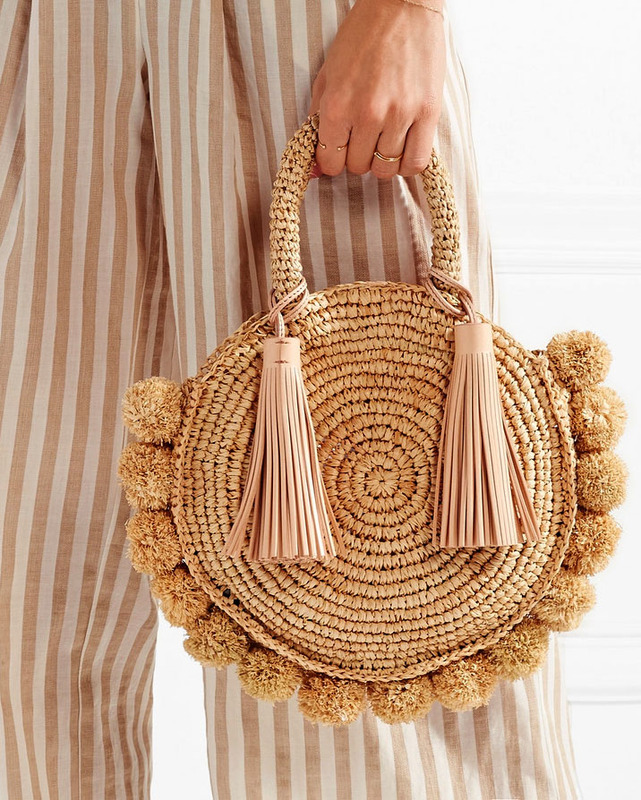 The latest addition to its sought-after lineup, this 'Stella' tote is hand-woven from structured rattan and lightweight raffia in a unique circle motif that complements its silhouette. 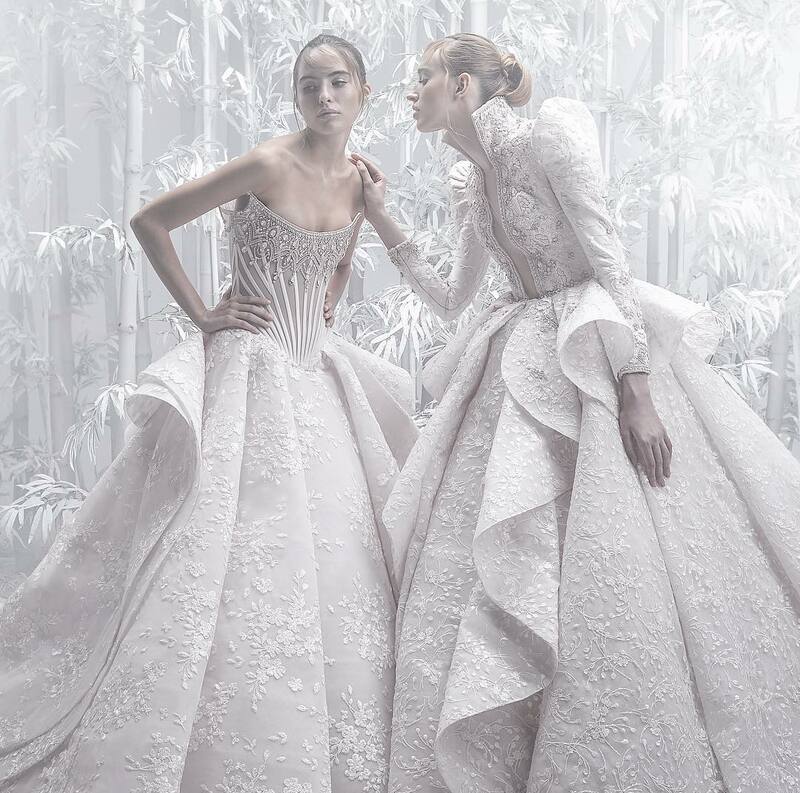 Since it's left unlined, pack only the most picturesque belongings, like your favourite makeup pouch and cardholder. Kayu's 'St Tropez' tote is hand-embroidered by local artisans with the word 'Mrs', making it an ideal honeymoon gift for a new bride. 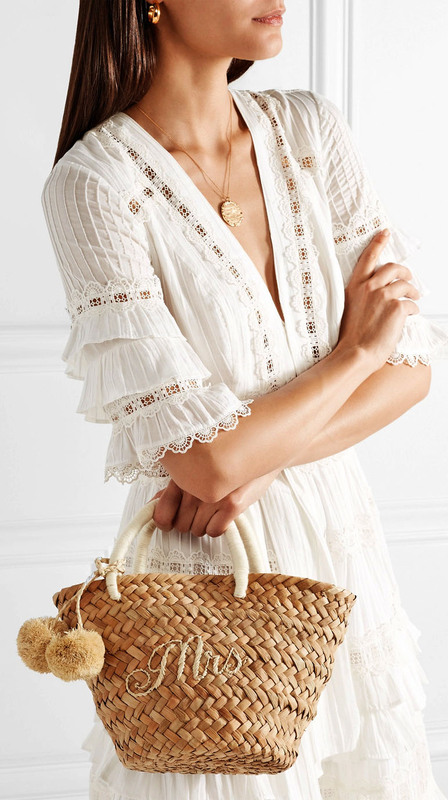 Woven from natural straw using traditional techniques, this mini style has off-white handles and removable raffia pompoms. The compact interior has just enough space for your room key, wallet and sunglasses case. 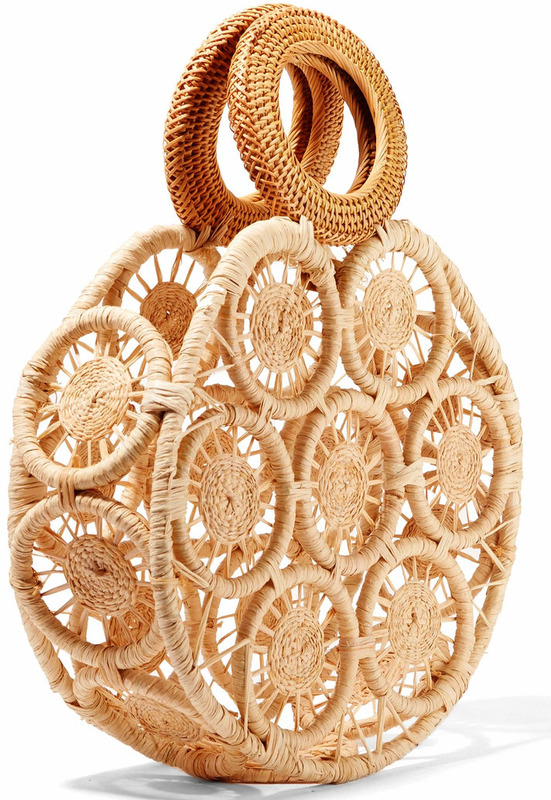 Nannacay's 'Maria' tote is woven entirely by hand, taking an artisan eight to ten hours to complete. 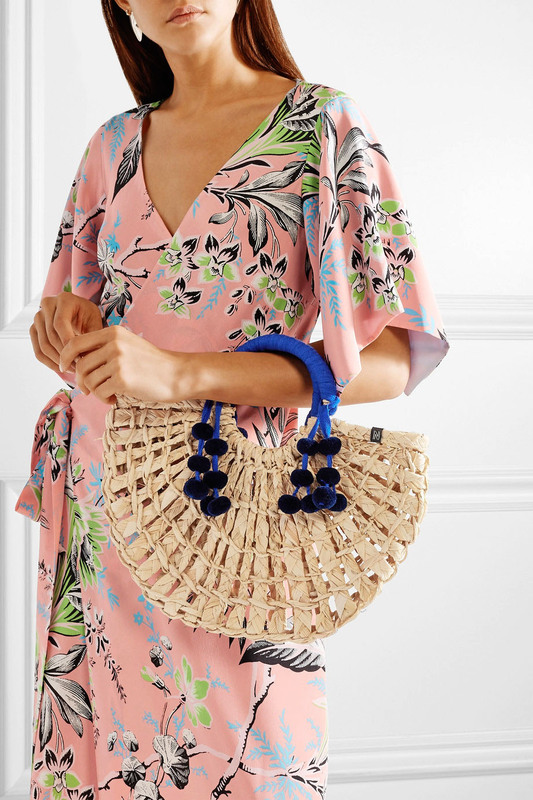 Made from natural raffia, it has royal-blue wool-wrapped top handles, navy pompom embellishments and an oversized half-moon shape that offers plenty of space for your beach or weekend essentials. 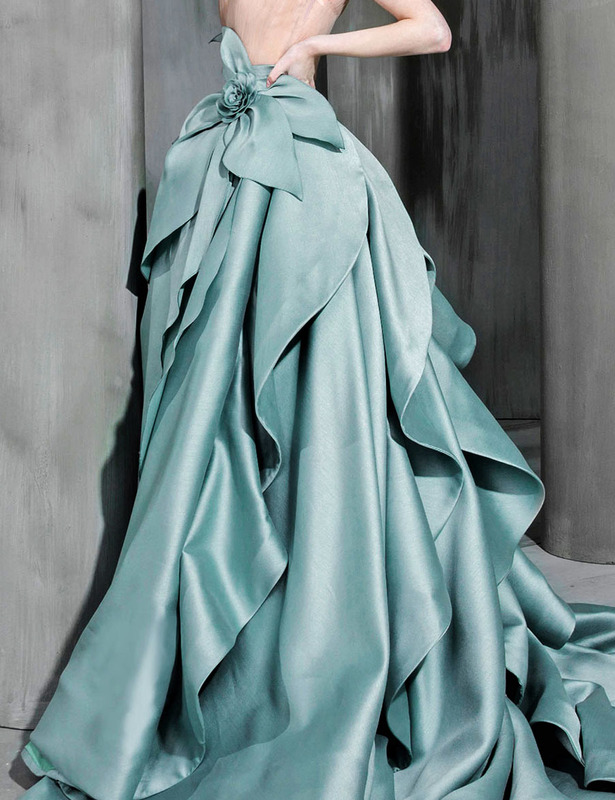 Let yours pop against a pastel dress.